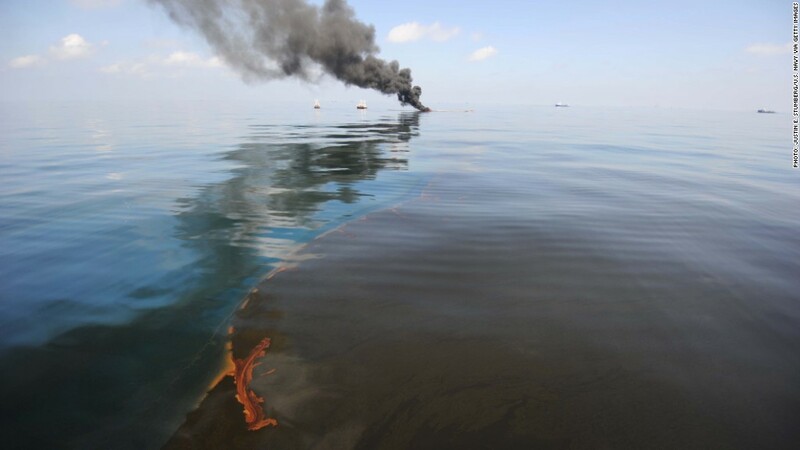 BP will pay a record fine to settle criminal claims arising from the 2010 spill in the Gulf of Mexico. BP will plead guilty to manslaughter charges stemming from the 2010 Deepwater Horizon explosion and oil spill in the Gulf of Mexico, and agreed to pay $4.5 billion in government penalties, Attorney General Eric Holder announced Thursday. Of the penalties, $4 billion will resolve criminal charges. An additional $525 million will be paid to resolve claims brought by the Securities and Exchange Commission that BP lied to investors by understating the amount of oil flowing into the Gulf. Separate from the corporate manslaughter charges, a federal grand jury returned an indictment charging the two highest-ranking BP supervisors on board the Deepwater Horizon on the day of the explosion with 23 criminal counts. The two men were charged with seaman's manslaughter and involuntary manslaughter for each of the 11 men killed in the blast, as well as a criminal violation of the clean water act. The grand jury also charged BP's second-highest ranking representative at the company's unified command post with hiding information from Congress and allegedly lying to law enforcement officials. The company also will plead guilty to a felony count of obstruction of Congress, a misdemeanor count under the Clean Water Act and a misdemeanor count under the Migratory Bird Treaty. Holder said the dollar amount of the penalties and the criminal charges against both the company and individuals are unprecedented. "I hope that this sends a clear message to those who would engage in this kind of reckless and wanton conduct that there will be a significant penalty to pay," he said. The settlement is subject to federal judicial review. "All of us at BP deeply regret the tragic loss of life caused by the Deepwater Horizon accident as well as the impact of the spill on the Gulf coast region," Bob Dudley, chief executive of BP (BP), said in a statement. "From the outset, we stepped up by responding to the spill, paying legitimate claims and funding restoration efforts in the Gulf." "We apologize for our role in the accident, and as today's resolution with the U.S. government further reflects, we have accepted responsibility for our actions," Dudley added. The fine comes on top of $20 billion that the company has agreed to pay into a trust fund to meet damage claims from the millions of gallons of oil spilled into the Gulf. It said it expects to pay a final $860 million into that fund this quarter. BP reported a $17.2 billion loss in the quarter when the explosion took place. But it has been profitable since then, booking total profits of $43 billion over the course of the subsequent nine quarters. It will not be able to use the fines to reduce the amount of taxes it owes, Holder said. Family members of the victims who spoke to CNN Thursday said they were pleased that BP was being forced to pay for the blast, but said it doesn't make up for their loss. "It doesn't bring my boy back, but it does show everybody that they're guilty and everybody knows it," said Billy Anderson, whose son Jason was one of the rig workers killed. Arlene Weise lost her 24-year-old son Adam on the rig that day. "I knew all along that BP was the devil in that accident," she said. "Now they're getting their due." But Weise said Thursday's announcement offered only a limited sense of justice. "It doesn't matter how much money anyone pays," she said. "It doesn't nearly amount to what we've lost." The well was capped three months after the explosion, but in that time, the spill caused extensive environmental damage to the Gulf. Embattled CEO Tony Hayward was forced to resign, and BP shares plummeted. BP has reached a $7.8 billion settlement with lawyers representing private-sector victims. 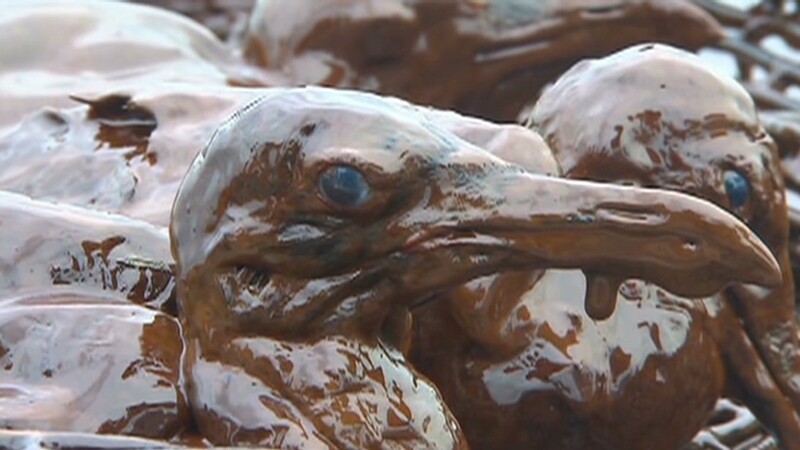 But in September of this year, the Justice Department accused BP of gross negligence and a "culture of corporate recklessness" in a federal court filing, which expanded the company's liability. A major civil trial set to take place in New Orleans has been delayed until February 2013. Transocean (RIG), the owner and operator of the rig, also has unresolved liability issues. The DOJ, in its September filing, said the company is also guilty of gross negligence. "BP did not act alone, by any means, and its gross negligence and willful misconduct are inextricably joined with the acts and omissions of Transocean," the government said in the filing. Without naming Transocean, BP said Thursday it is not the only company to blame for the accident. "Today's agreement is consistent with BP's position in the ongoing civil litigation that this was an accident resulting from multiple causes, involving multiple parties, as found by other official investigations," said the company's statement. BP will have up to six years to pay the money it agreed to as part of the settlement. Most of that money -- $2.4 billion -- will go to the National Fish & Wildlife Foundation, an independent not-for-profit conservation group chartered by Congress in 1984. It is a windfall for the group, whose total contributions and commitments since its founding are just above $2 billion. Another $350 million will go to the National Academy of Science. BP identified the remaining $1.256 billion of the settlement as a "criminal fine." More than $1 billion of that fine will go to the U.S. Coast Guard's Oil Spill Liability Trust Fund, to be available for cleanup -- and compensation for those affected by -- oil spills in the Gulf . It is single largest criminal fine on record. The previous record was $1.195 billion criminal fine paid by Pfizer (PFE) as part of a $2.3 billion settlement in September 2009 over the fraudulent marketing of anti-inflammatory arthritis drug Bextra. --CNNMoney's Mark Thompson and CNN's David Ariosto contributed reporting to this article.